Travis Jahnke was born and raised here in sunny Orlando Florida. He graduated from Apopka High School in 2000. After graduating, Travis decided to travel and visit other parts of the country and the world. Travis packed 2 suitcases and a duffle bag and jumped on a bus. He visited several locations including Georgia, Washington, Wisconsin, New York, North Dakota, Maine, Hawaii, New Jersey, Dominican Republic, and Ireland (to name a few). He has always had the desire and drive to be in the top 10% with every occupation he’s worked. He was the owner and operator of a successful flooring installation business for 7 years. He also was in the restaurant business for 10 years. Starting as a valet attendant, he worked his way up the ranks to become the General Manager. He also did a tour on Norwegian Cruise Lines, which allowed him to visit all the Hawaiian Islands. When Travis was living in Hawaii, he met the love of his life, Mandy. They have a beautiful girl named Nevaeh. When Mandy became pregnant, they decided to move back home to Florida. After flying to California, they decided to drive across country. They stopped at Las Vegas, The Grand Canyon, and Missouri to visit family, before making it to Florida. The reason Travis decided to help seniors with their retirement needs, came after the death of his Grandfather. When Travis started in the insurance business he had $13 in his bank account. Mandy was working graveyard shift at 7-Eleven while she was pregnant. 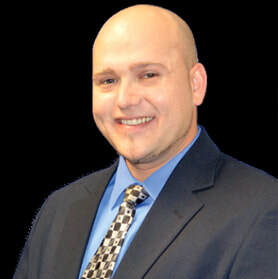 After hard work and dedication Travis was awarded agent of the month in October in the entire organization. He made more than 6 figures in his first year in business. Travis went from driving a run down 2002 Chevy Malibu, to driving a 2013 Mercedes. Mandy was able to quit her job and is currently a stay at home mom. The most rewarding thing for Travis is the personal relationships he has with his clients. He will teach you the tools of success. Just remember, the sky is the limit.